Salted egg is a popular preserved Chinese food. Fresh duck eggs are soaked in brine (salty water) for about 20 to 30 days, or packing each egg in damp, salted charcoal. This method draws water out of bacteria and mold, hence stop their growth. It is traditionally used in making savoury dumplings (Zong/ 粽) during the Dragon Boat Festival and mooncakes for the Mid-Autumn Festival. Commonly, the salty egg is served with bland congee. In Malaysia, it’s used to make salted egg sauce to pour over meat and seafood dishes. It’s even used as a filling in pastries! I must say this is one of my favourite ingredients for Malaysian food. Raw salted is is covered by a layer or salted charcoal which need to be removed thoroughly. When broken, the white is in liquid form but the yolk is solid. Cooked salted egg white is incredibly salty and has a sharp flavour that may sting the tongue. So a little goes a long way. In contrast, The orangy yolk taste richer and much less salty. Perhaps that’s why the yolk is more prized than the white. The yolk is often the one used for cooking. 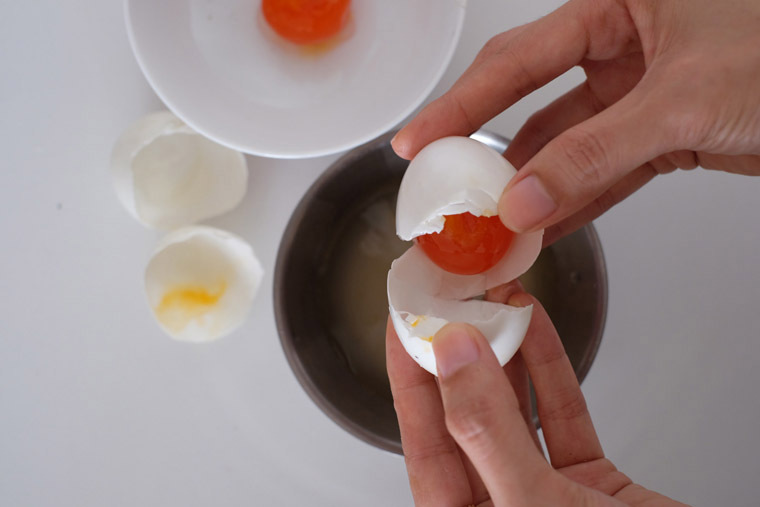 For making savoury dumpling for example, the yolk represents the moon. Salted duck eggs are easily available at the supermarket or wet market. 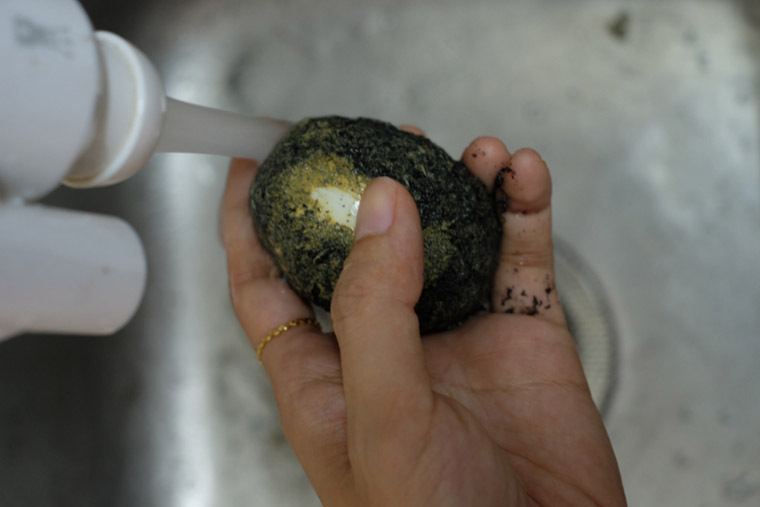 Wash off the salted charcoal layer that covers the egg. If you do not remove the black salt charcoal layer, it can be kept in a dark and dry place for a few weeks.